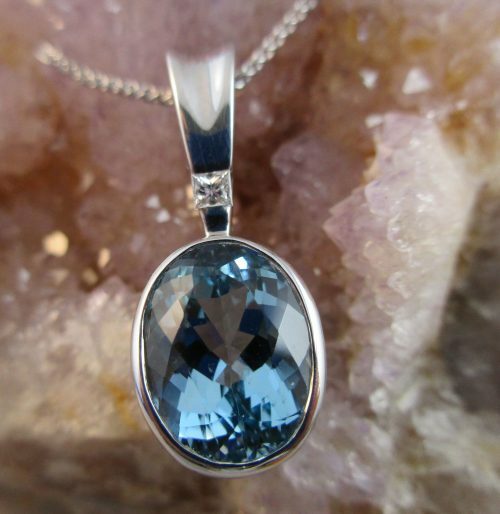 The color of the clean, clear ocean or the wonderful blue sky are reflected from this beautiful Aquamarine Pendant. 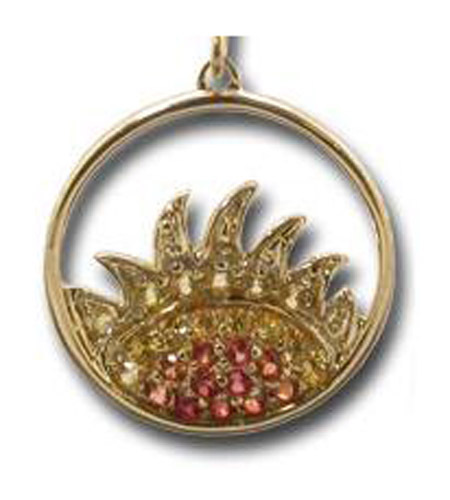 This oval shaped piece is set an a full bezel with a large bail. The bail has a Princess cut diamond accent. 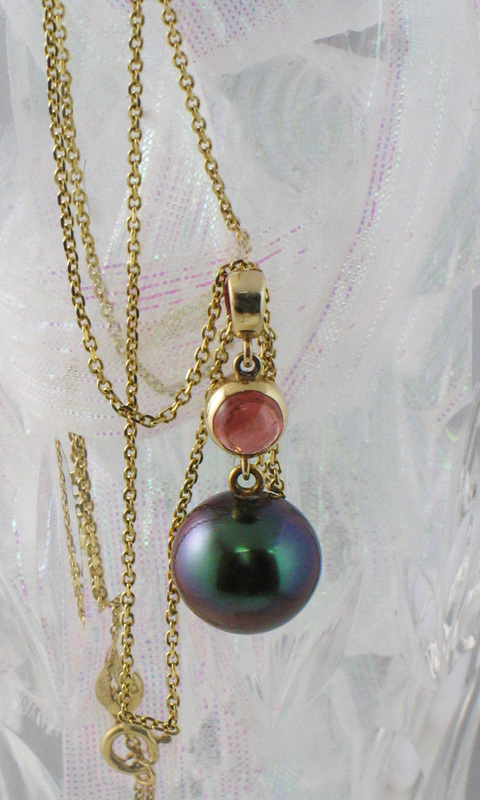 The large bail will help accommodate a variety of chain styles. 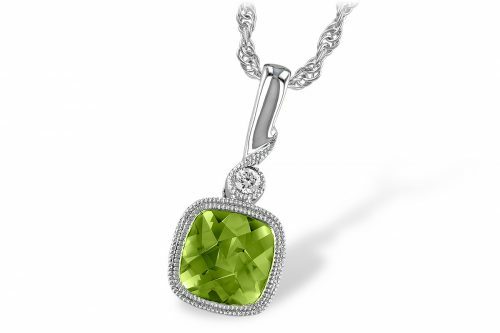 A chain is not included with this pendant, but we have plenty to choose from that would work out well with this pendant. Aquamarine is commonly heat treated.